All photos & videos require editing. Taking the photo is just the first step. Our work doesn’t stop after the photos have been taken – the next step is to edit them. We take pride in the detail we put into our clients’ projects, so they always get top-notch beautiful digital media. Utilizing the best software we are able to really fine tune each photo and video to the exact look we are trying to achieve. Sometimes a scene requires a more intimate feel, or sometimes a scene needs to be bright with an open feel. Throughout the editing process we can make sure each capture is represented in its best light. Being consistent with our work is how others recognize our quality and style. Many times we have clients who recognize out work just by looking at a photo. Being able to provide consistent results is what our goals are on each project. From the initial preparation of the property from, cleaning up clutter, fixing beds, pillows, couches, windows etc… to the final detail edits, we make sure to provide an exceptional work ethic that translate to quality results in the final photo or video project. take pride in having the eye to see what needs to be captured and edited. From the sky to the grass, debris, lighting, fixing holes, paint, driveways, and window views etc., we push to always make every photo look its best. It first starts with the initial capturing of the photos. Once we are at the computer, we go the extra mile to make sure your photo is edited correctly for exposure, lighting, highlights and shadows. Here’s an example at Mandarin Oriental Las Vegas Condos. View the details that goes into retouching an image for final delivery to our clients. Here’s a new “Money Shot” before and after of a beautiful Summerlin home inside Red Rock Country Club. This house definitely benefited with my lighting technique to be able to show off the full extent of the houses backyard beauty, pool, spa, pool tiling, grill and simultaneously allowing you to appreciated the exterior & interior views. Sometimes all it takes is that one image to grab someones attention, and this is it! 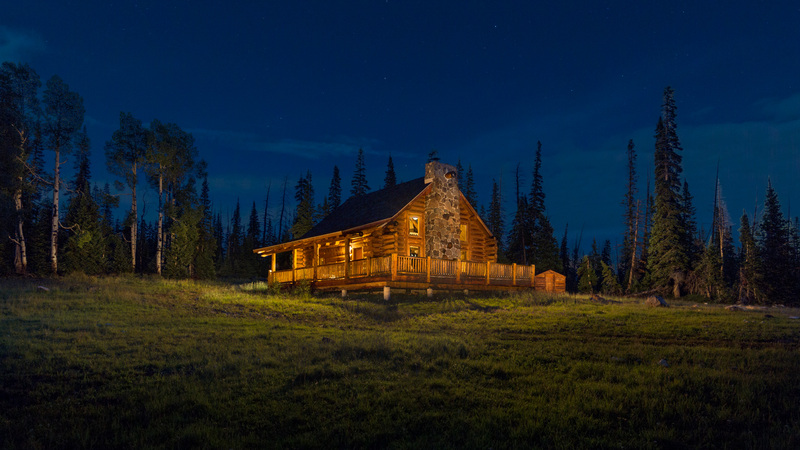 Here’s a new light painting behind the scenes of a cabin we shot in Utah. What a difference in the before and after of the increased the value in the shot. Adding light to the scene helped to show off the cabin and landscaping with a warm welcoming feel.